Another rare chance to sample a craft beer on tap. Another great find on the Untappd. The Quarrymans Hotel in Sydney’s Pyrmont has over 20 craft beers on tap (or 23 to be precise on the night I visited). When you’re looking for the right yoghurt in a supermarket, sometimes you can have too much choice. Luckily this doesn’t apply to beer …….. I’ll start at the top of the list and work my way down! Wee ain’t heavy, wee my brutha! Of course I wouldn’t dream of working my way through the list in one night. Young Henry’s ‘Wee Heavy’ tips the scales at a healthy 8.8%. It ain’t wee but it certainly punches its weight ! This is a cask ale that tastes like it was conditioned in a whiskey barrel. 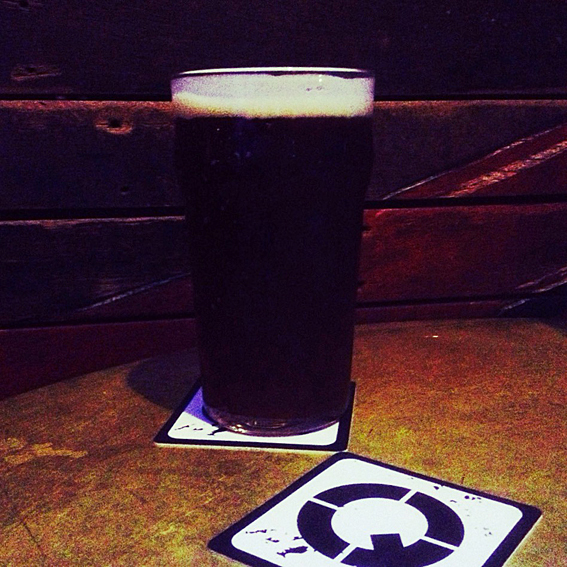 Served at room temperature, with no carbonation, it’s a novelty in an Australian pub. It’s a substantial brew, smooth and sweet without being syrupy, it tastes like Christmas come early. My big mistake was to pair it the Quarrymans’ cheese platter, 4lbs of cheeses served with dried fruits, chutney and cracker. Utterly delicious, it took two whole days to digest. 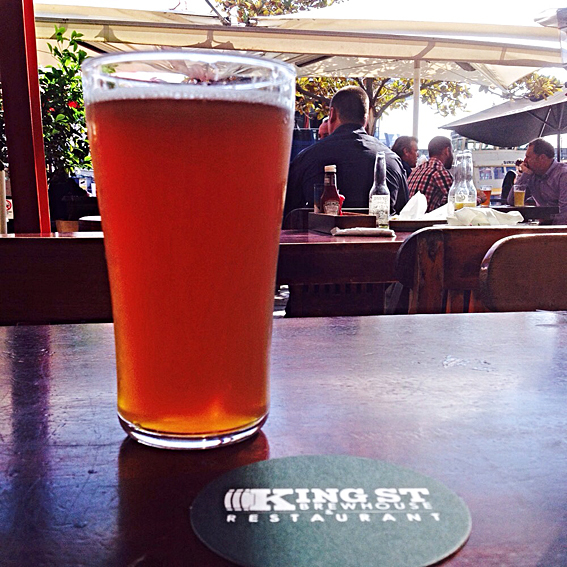 If you’re in Darling Harbour on a hot day looking for a refreshing pint, look no further than the King St Brewhouse. Home to the Red Tape Brewing Co. The busy harbour-side bar brews its own ales and their Fish River Gold proved the perfect accompaniment to a fish ‘n’ chip lunch. 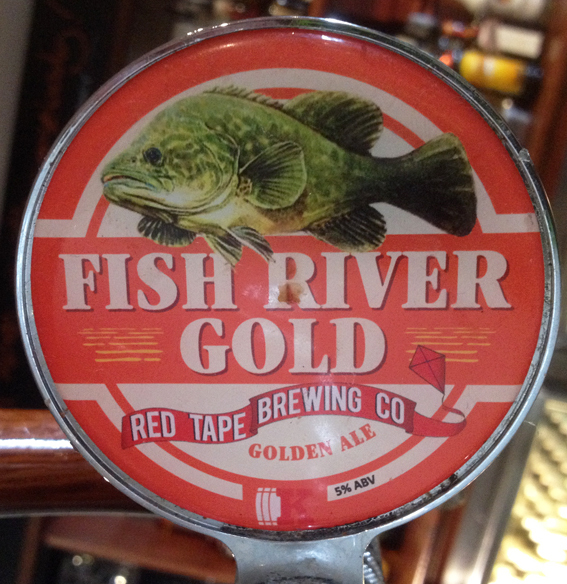 Brewed with water from the nearby Goldfish River, this golden ale is a clouded honey in colour and sweet on the nose. It’s light and refreshing with a hint of toffee apples. I was rather tempted to have another and just watch the world go by.